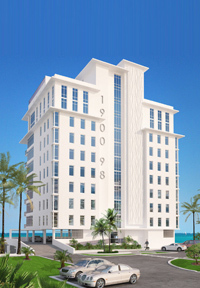 1900 Ninety Eight is located on the Gulf of Mexico in the heart of Destin. Sales are currently underway at our sales center located at 14060 Emerald Coast Parkway just down the street from this compelling site. 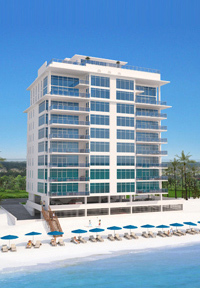 Residences will be limited to 16 - only two per floor. With 2,750 gross square feet, including large balconies with gas grills, these 3 bedroom/2.5 bath residences will be luxurious and spacious. Two 2-story penthouses offer over 4000 Square feet of luxury. Amenities planned include a roof top pool, fire pit gathering area and state of the art fitness facility.